There’s no shortage of teeth whitening methods available to modern consumers in this day and age. Some of the options range from whitening strips and toothpastes to homemade mixtures containing hydrogen peroxide and baking soda. Not to mention some of the quite expensive whitening procedures available through your dentist. However, would you believe that one of the most effective ways that I have seen for teeth whitening is completely natural? Not only that, but it’s incredibly affordable as well. The method that I’m referring to is known as charcoal teeth whitening. By using activated charcoal powder on your teeth, you can absolutely achieve a noticeably whiter smile. 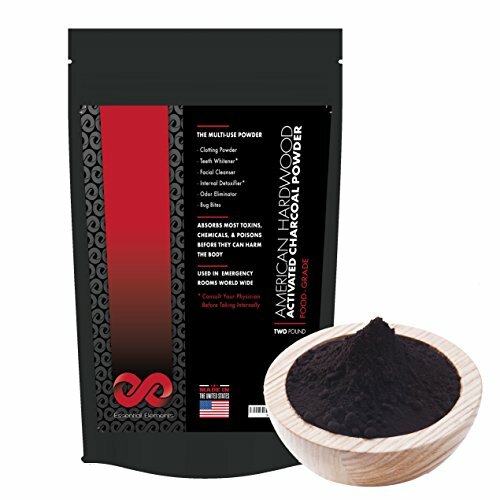 1 What Is Activated Charcoal Powder? Activated charcoal powder is also known as activated carbon. It can be made using either coal, wood, or other substances, but is most commonly derived from charcoal. It becomes ‘activated’ when the charcoal is heated up using a gas that opens up large pores that are capable of trapping chemicals. Activated charcoal powder can be purchased in a few different ways. They can be found sold as tablets to be taken orally or in packages containing just the powder. 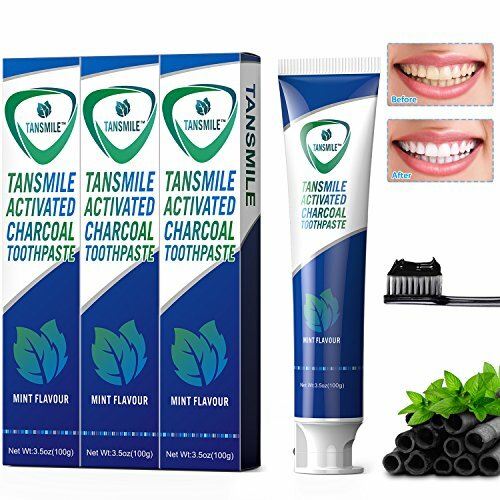 There’s even charcoal teeth whitening toothpastes available to purchase now as well. However, if you plan on using charcoal to whiten your teeth, you’re generally better off buying the powder in bulk. Before we go into how to whiten your teeth with activated charcoal powder, let’s take a brief moment to quickly go over some of the other uses for it. As you’ll soon see, it’s quite a useful all-around substance to keep on hand! While charcoal teeth whitening is incredibly effective, it’s certainly not the only useful application that activated charcoal has. Here’s a list of some of the very best uses that charcoal powder has. Relieves symptoms of indigestion – Due to its absorbent nature, activated charcoal powder can bind to food by-products that cause gas and provide relief for indigestion symptoms such as gas and bloating. 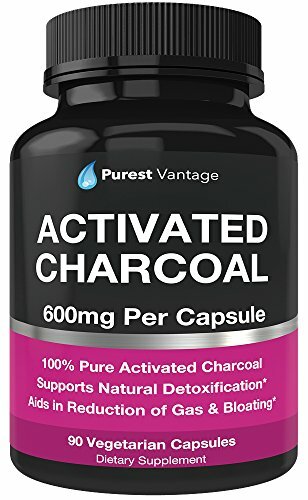 (The following study found that activated charcoal was capable of reducing intestinal gas https://www.ncbi.nlm.nih.gov/pubmed/3521259 Activated charcoal powder is also effective at treating stomach pain and diarrhea. Assists your body with its natural detoxification process – Since activated charcoal is capable of absorbing harmful toxins and chemicals found in your body, it’s a great tool to use to help with your detox efforts. Simply drink some of the powder along with 12-16 ounces of water to help your liver flush out toxins. Once your body eliminates these from your system, you may notice an increase in energy and cognitive function as well as clearer skin. Water filtration – Even in developed countries, most forms of drinkable tap water is incredibly bad for your health. It’s laced with chemicals, lead, fluoride, and various other toxins. The absorbent nature of activated charcoal assists with trapping some of those impurities found in the water. To that end, it’s now possible to purchase activated charcoal water filter systems to help keep your drinking water clean and pure. As you can see, there’s all kinds of great uses for activated charcoal beyond just teeth whitening. I personally like to keep some on hand at all times as part of a first aid kit at home. As I mentioned above, the peace of mind it gives me is definitely more than worth it! Along with all of the fantastic uses described above, activated charcoal powder is incredible when it comes to making your teeth whiter. Not only that, but it’s actually excellent for your overall oral health. It’s capable of changing the pH balance in your mouth, preventing cavities, eliminating halitosis, helping to prevent gingivitis, and killing off the bad bacteria that contributes to tooth decay. And what happens once all of that junk is cleaned off the surface of your teeth? It leaves your smile looking noticeably whiter! Charcoal teeth whitening is safe, easy, and 100% natural. This make it a much more attractive option for anyone who’s wary of using harsh chemical additives to whiten their teeth. Just be wary if you have crowns, veneers, or caps. It’s quite possible that the activated charcoal powder might stain them. Otherwise, despite the rather gross looking appearance that a mouth full of charcoal will give you, it washes away rather easily and won’t stain your teeth. Many people begin to notice results after only a few uses of activated charcoal powder on their teeth. However, keep in mind as well that if your teeth are deeply stained or experiencing natural yellowing, charcoal teeth whitening may not work as effectively. If that’s the case, you are better off seeking a dental professional for a procedure like teeth bleaching if the discoloration is bothering you. Otherwise, charcoal teeth whitening works wonders on many of the most common types of surface stains. It’s great for removing stains caused by coffee, red wine, smoking, and certain dark colored foods. First things first, if you don’t already have any, you’re going to have to get yourself some activated charcoal. In most stores, it is sold in tablet form, meaning you’ll have to grind the pills up yourself if that’s the option you choose. I personally like to buy the powder in bulk, as I find it to be more cost effective and easier to make use of. Once you have the charcoal ready to go, mix it together with a little bit of water until it forms a paste-like texture. Apply the pasture to a wet toothbrush and then brush gently in small circles for about two minutes. I personally like to leave the paste sit on my teeth for an extra minute afterwards to really give it time to bind to any stains and do its thing. Next, spit it all out carefully (so as not to risk staining your sink) and rinse thoroughly. Some people like to also swish water mixed with activated charcoal powder for a couple of minutes, feel free to do so if you desire. Otherwise, go ahead and brush your teeth normally at this point. While you can experience some truly tremendous benefits and vastly whiter teeth using activated charcoal powder, it should be noted that there can indeed be some risks associated with using it. The first thing to be aware of when doing charcoal teeth whitening is that it’s absolutely essential that you brush gently. The mineral is rather abrasive and it can and will damage your tooth enamel if scraped against it roughly. To work around this, some people prefer to simply apply the paste mixture directly to their teeth and leave it sit for a few minutes rather than brushing. By doing this, the charcoal can still remove surface stains without needing any brushing movements that may cause scraping or damage. This method can be quite effective; the choice is entirely up to you. In regards to the absorbent nature of activated charcoal, some people express concern that it may draw out calcium in their teeth. There’s no need to worry about this however. When performing charcoal teeth whitening, the charcoal pores work to draw out organic toxins as opposed to minerals like calcium. I also briefly mentioned above that the charcoal could potentially stain crowns, veneers, and caps. This risk of staining also extends to other items commonly found in bathrooms. It can most definitely permanently stain counters, tile, grout, towels, and clothes so be cautious when using it! It should also go without saying, but it’s definitely not a good idea to use this procedure if you have any open wounds or cuts inside of your mouth. In addition, as with any type of new health or wellness protocol, you should first consult with your dental health care practitioner before using activated charcoal powder to whiten your teeth. And while it’s absorbent properties are fantastic for drawing out toxins, they can also interfere with the absorption of any medications, vitamin or mineral supplements you may be taking. Be sure to take activated charcoal several hours apart from anything else you may be taking for your health. Once again, since it bears repeating, consult with a healthcare professional before using activated charcoal. This is doubly important if you’ll be ingesting it so as to avoid any potential interactions with any current medications you may be taking. There’s a few different ways that you can purchase activated charcoal powder. As I mentioned earlier, when it comes to charcoal teeth whitening, you generally have three different options: buying charcoal powder in bulk, getting activated charcoal tablets, or buying specifically made activated charcoal toothpaste. Overall, I would recommend just buying your charcoal powder in bulk. It’s by far the most cost effective manner for both teeth whitening and general everyday use, and the method that I personally use. However, I’m well aware that we all have our own individual preferences. Some people would prefer to buy it in tablet form to make it easy to take, and others just want it solely for teeth whitening and would prefer to buy it as a toothpaste. So to that end, I’m going to list my top recommendations for all of the above activated charcoal formats. They are all available to purchase directly from Amazon, meaning you can conveniently order from the comfort of your own home without worrying about local stores having your desired product in stock. Charcoal teeth whitening can be a fantastic way for you to achieve a brighter smile in a 100% all natural way that remains incredibly cost effective. It’s safe, easy, and incredibly effective. By properly following the instructions provided in this article, you should be able to notice a whiter shade of teeth after only a handful of active charcoal applications. As an added bonus, activated charcoal powder can provide you with many other great benefits. Whether you are using it for detox purposes, to relieve indigestion, improve your skin tone, or if you just like to keep some on hand in a first aid kit in the event of an emergency, activated charcoal will serve you well. Have you tried charcoal teeth whitening before? Are you planning on giving it a try after reading the information here? Or do you just have any other teeth whitening tips or hints you’d like to share? Feel free to leave a comment down below and don’t forget to share this article with your family and friends if you feel they would find it useful!